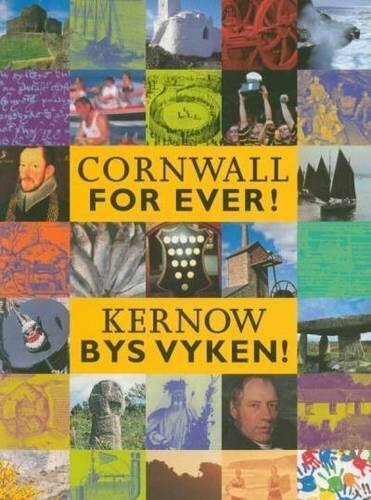 Sir Henry Bodrugan | Cornwall For Ever! Sir Henry Bodrugan was a powerful man who owned a lot of land in Cornwall. Some said he was a pirate and thief, but others said he was very generous. When supporters of King Henry VII tried to arrest Sir Henry, he jumped off a cliff and escaped. Syrr Henry Bodrugan o den gallosek a berghenna meur a dir yn Kernow. Nebes tus a leveri y vos morlader ha lader, mes tus erel a leveri y vos pur hel. Pan assayas skodhyoryon Myghtern Henry VII synsi Syrr Henry ev a lammas dhyworth als ha skapya. The Bodrugans were a Cornish family who had lived at Bodrugan, near Gorran Haven, for hundreds of years. They owned lots of land in Cornwall and were very rich and powerful. Members of the family had been MPs and Sheriffs of Cornwall. In 1283, William Bodrugan was Provost (Head) of Glasney College in Penryn. Sir Henry Bodrugan was born in June 1426. His mother Philippa was the daughter of Sir John Arundell, the richest man in Cornwall. Sir Henry’s father, William, had been Sheriff of Cornwall and a soldier in France. Sir Henry met a married woman called Jane Beaumont and together they had a son, John. When Jane’s husband William Beaumont died, she married Sir Henry. As an important and wealthy man, Sir Henry had to help govern Cornwall. He was asked to investigate and arrest pirates and other lawbreakers. During the time he was arresting criminals, Sir Henry was also breaking the law himself. Wealthy people in Cornwall said that he had broken into their houses, stolen their belongings and farm animals and threatened their servants. Some people said that Sir Henry’s two ships, called Mary Bodrugan and Barberye, were pirate ships. Sir Henry was described as ‘the chief ruler in Cornwall’ and was so powerful that people were afraid to report him to the authorities. Sir Henry wore fine clothes, had expensive furniture and entertained his friends and neighbours with food and drink. He even had his own band of musicians. In 1476, Sir Henry, his son John Beaumont and another man called John Penfound owed over £150 to a tailor (a person who makes clothes). In 1476, £150 was worth the same as many thousands of pounds today. Sir Henry lived during a conflict called the Wars of the Roses (1455 to 1487). The wars were fought between two royal families who both believed they should rule England. One family was called the House of Lancaster and their symbol was a red rose. The other family was called the House of York and their symbol was a white rose. Sir Henry supported the House of York. Some of the people that Sir Henry arrested or stole from were supporters of the House of Lancaster. Sir Henry supported King Richard III (the king found in a car park in 2012), who was a member of the House of York. In 1483, Sir Henry was told to arrest Richard Edgcumbe, who was a supporter of the House of Lancaster. There is a story that Sir Henry chased Edgcumbe through the woods at his home at Cotehele, near the River Tamar. When Edgcumbe reached the river he took off his hat, put a stone in it and threw it in the water. Sir Henry saw the hat in the river and thought that Edgcumbe had drowned. Edgcumbe managed to escape to Brittany and joined Henry Tudor, the leader of the House of Lancaster. In 1485, Henry Tudor defeated King Richard III at the Battle of Bosworth in Leicestershire, England. We do not know if Sir Henry fought at the battle. We do know that when Henry Tudor became King Henry VII, Richard Edgcumbe and William Trevanion were told to arrest Sir Henry. They chased him to the edge of the cliffs near his home at Bodrugan. Sir Henry leaped off the cliff and managed to get to a ship, which sailed to Ireland. As he leaped, Sir Henry put a curse on Edgcumbe and Trevanion. Today, the cliff is still known as ‘Bodrugan’s Leap’. Sir Henry was the last member of the famous Bodrugan family. His many lands and houses were given to Edgcumbe and Trevanion after he escaped to Ireland. Some people have said that Sir Henry was an evil and cruel man – others that he was generous and liked by the common people. Just a few years after Sir Henry died, hundreds of people rose up against King Henry VII in the Cornish Rising of 1497.